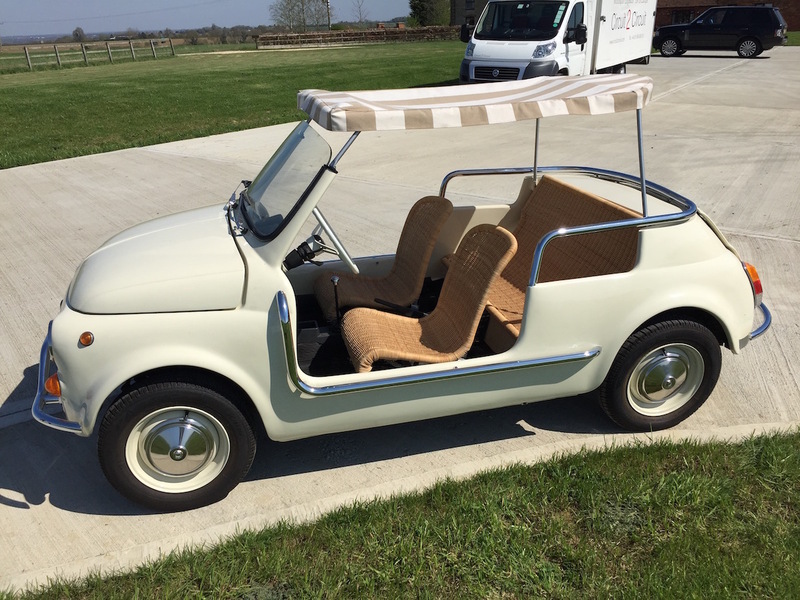 This conversion of a Fiat 500 was commissioned and duly completed in 2014, since then it has spent its time in the South of France. The conversion was carried out by a specialist U.K. company. The donor car was stripped down to bare metal, any body parts that needed replacing were replaced and the chassis strengthened. 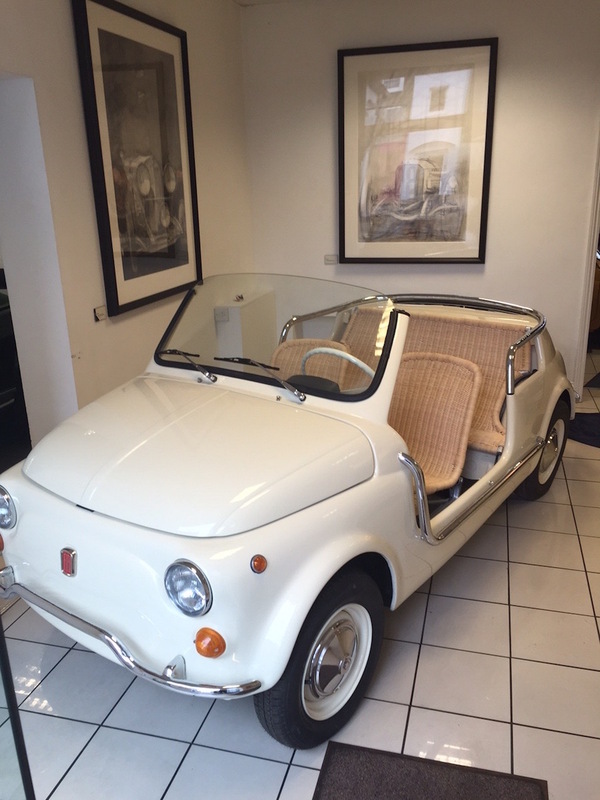 Many new parts were purchased from Italy to ensure the finished article was in “as new” condition. 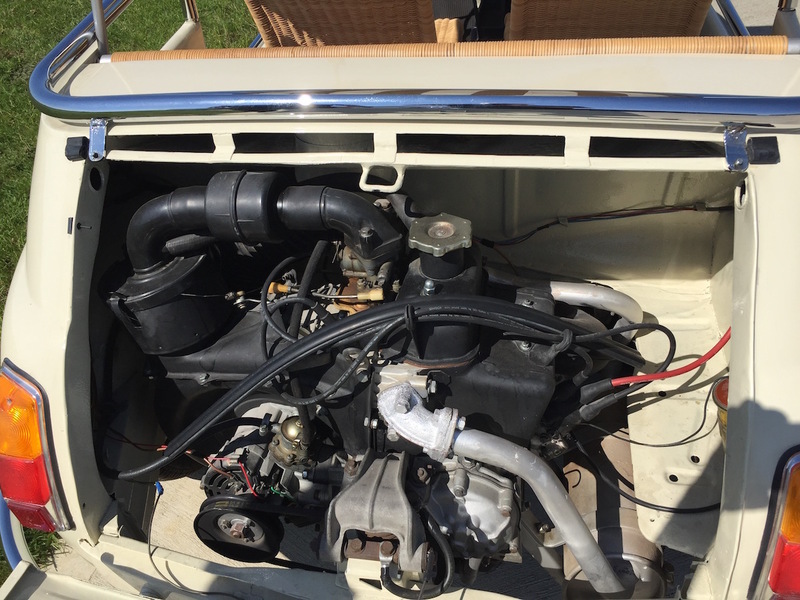 In order that the car was produced to a high standard, measurements were taken from a genuine Ghia Jolly, thus the finished car is a faithful “recreation” of an original, with particular attention being paid to the production of the chrome bars, a feature of this classic beach car. 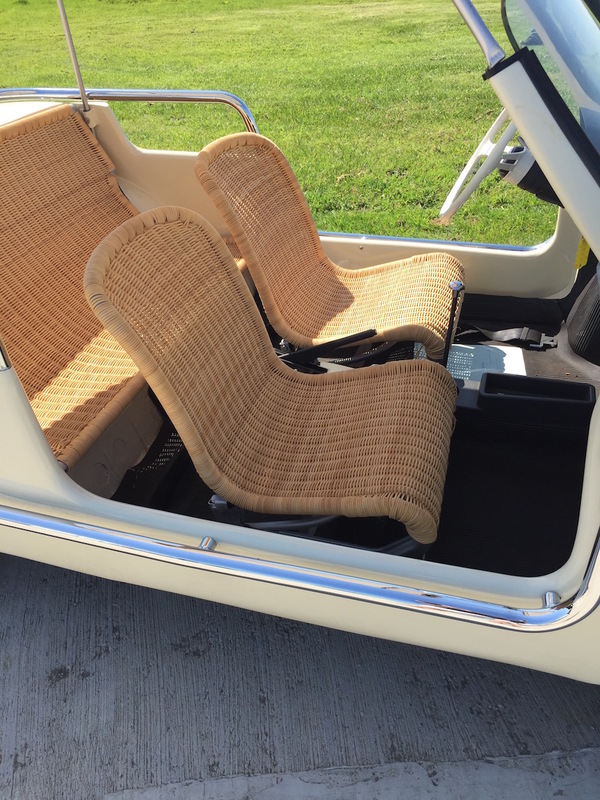 The seats were remade and beautifully fabricated in wicker by an artisan in the U.K.
To make the car more usable, we fitted a new 650cc engine and synchromesh gearbox along with electric start. It comes with a comprehensive history file containing many receipts and photographs taken during the conversion. CYY 276G is UK V5 registered and MOT’d. This … for only $ 36,995.00 CDN.